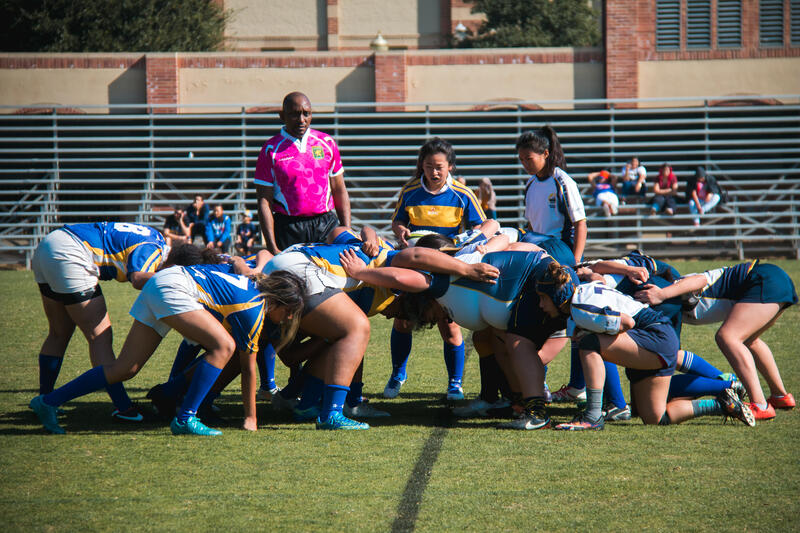 Past Projects | Help UCLA Women's Rugby Develop Our Program! 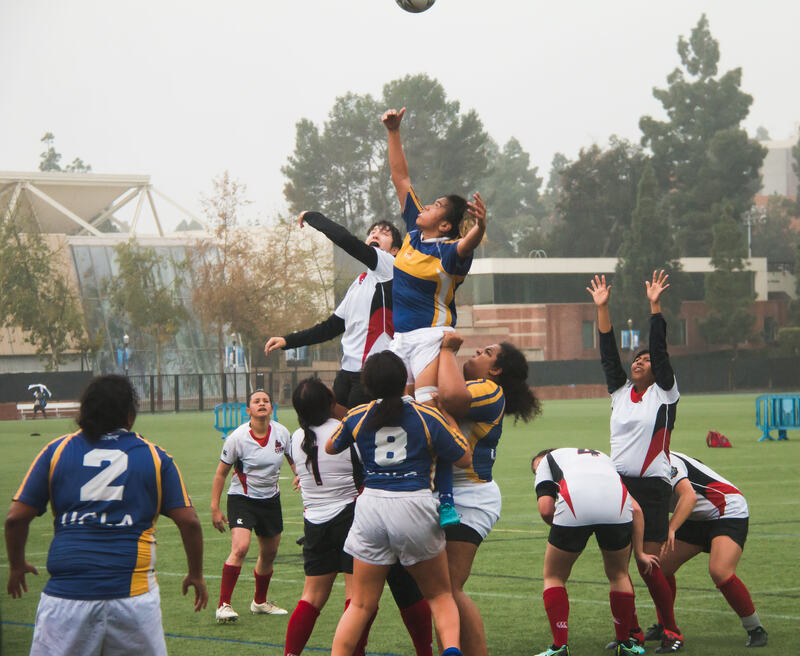 Our crowdfunding campaign has ended, but you can still support Women's Rugby by clicking here. 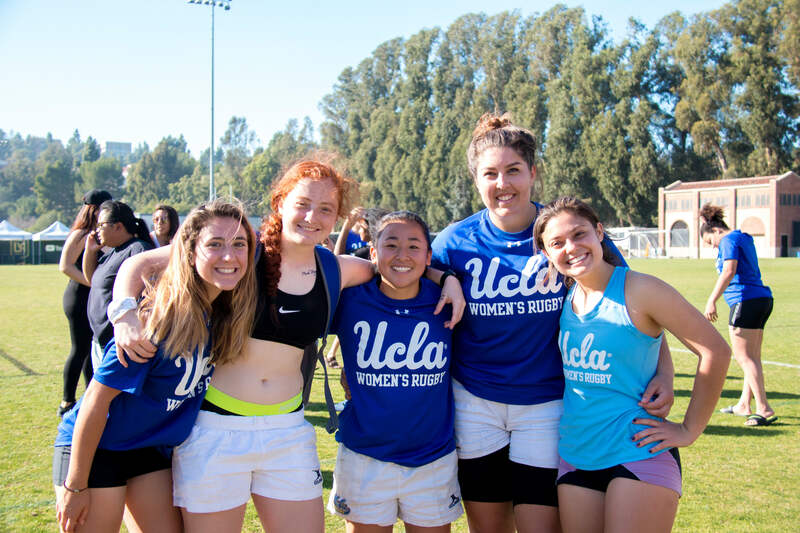 Help UCLA Women's Rugby Develop Our Program! A mouth guard helps prevent a variety of injuries including concussion, and it is the only piece of safety equipment required for rugby. With your $5 donation, we can equip one player with a mouth guard. Your $15 donation will pay for the most important piece of equipment for our sport. With your donation of $20, you cover the cost of a pair of rugby shorts for one of our players. We wear these shorts to every match and practice. Our team members carry all of our equipment to and from practice. $25 will pay for a ball bag that will hold 12 practice balls. Your donation of $50 will cover the price of gas for one round trip to a match or tournament. 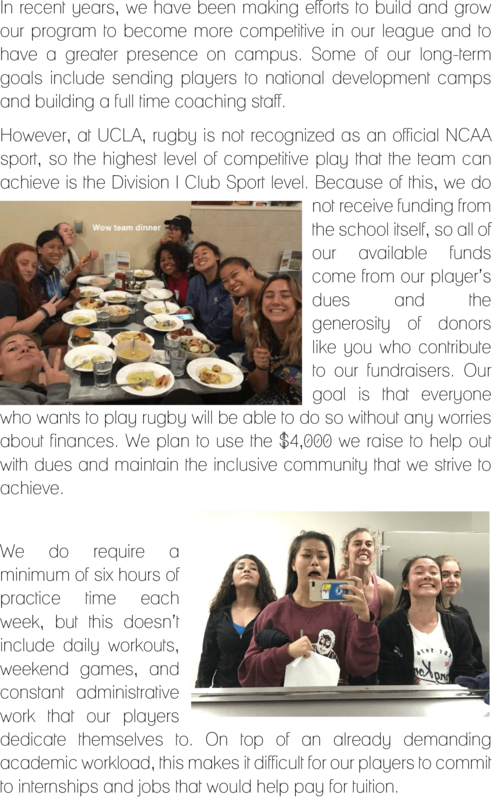 Preseason tournaments are a great way for our rookies to learn the game before our season starts. A donation of $75 will cover the entry cost of one of these tournaments. We need a referee at each league match, and your donation of $125 would cover the cost of one certified league ref. 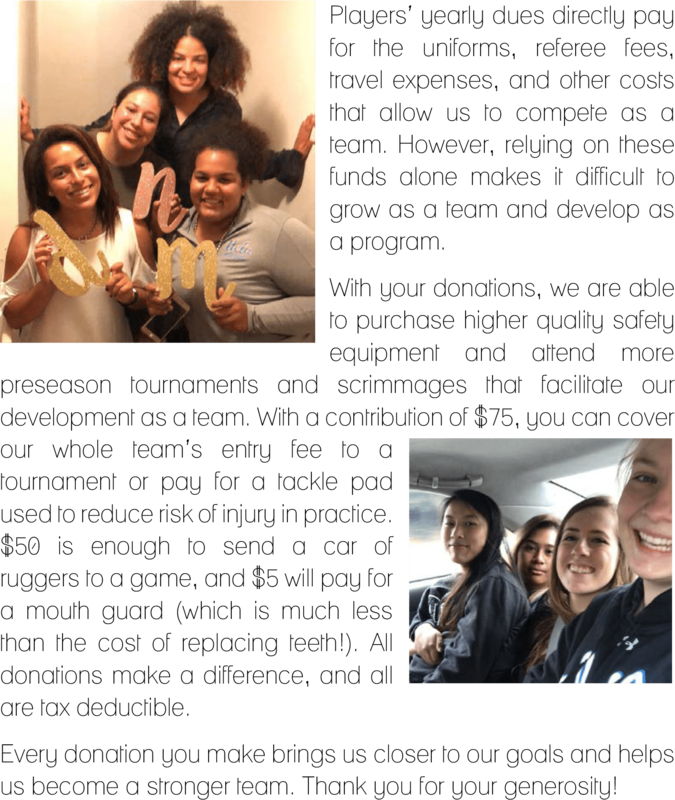 With your generous donation of $300, we can send the team to one away match in southern California.